The steam bath leaders since 1979. Amerec supplies quality saunas, steam bath generators, controls and equipment for homes and businesses. Steam is our specialty; we know how to create the perfect steam bath environment, because we appreciate and respect its long history as a healthy way to purify both body and mind. Over the years, we’ve built a reputation for providing the innovative, high quality products and services that make it easy to capture your moment daily—in a healthy, comforting and refreshing cloud of pure, clean steam. Our ongoing goal is to make it as easy as possible for everyone to enjoy the benefits of steam bathing every day. Amerec’s Signature Series of saunas have been so beautifully planned and laid out, it’s hard to believe they’re modular. 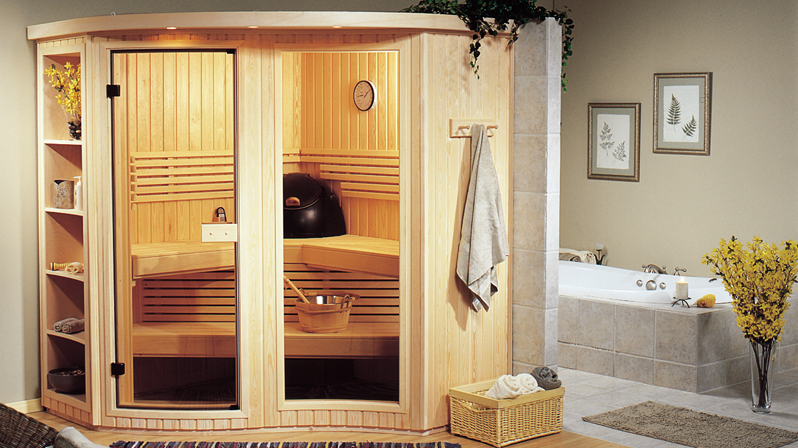 With several styles to choose from, you’ll feel like you’ve designed your own personal sauna. Whether you prefer Traditional Finnish Sauna or a Custom sauna loaded with luxurious upgrades, there’s an Amerec sauna that’s perfect for you. Amerec saunas are made of the finest materials available, and, because of the precision manufacturing, each sauna takes only a few hours to assemble.